darkSpyro - Spyro and Skylanders Forum - Spyro: A Hero's Tail - The last good Spyro game? darkSpyro - Spyro and Skylanders Forum > Spyro: A Hero's Tail > The last good Spyro game? Please note that these are my opinions, and you can disagree if you want. Personally, I believe that this game was the last good Spyro game. Now, this doesn't mean I hate the games that came after this (SL, TLOS, and Skylanders), but I personally feel that the series just changed completely after this game. This game changed a few features from the original Spyro series, while still keeping it good. Travelling to each world, instead of using Portals? I found that cool! Moneybags's Shop? That was a whole lot better! Keeping a similar game style, while still changing some features? Good! But after this, the series just... changed completely. Shadow Legacy introduced Magic Spells. 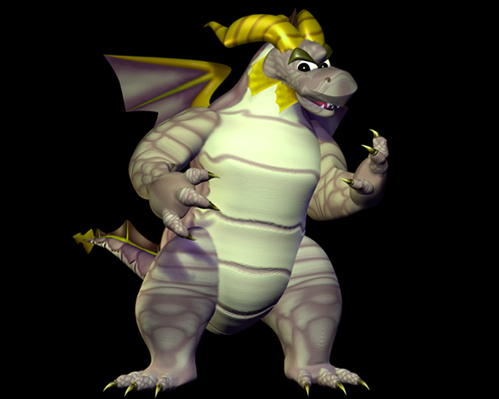 I feel like they didn't suit Spyro well, even though I love that game. The Legend of Spyro trilogy had a great story and gameplay, but it just didn't feel like a proper Spyro game. And Skylanders... That's just where Spyro lost his role as THE main character. If they were to make another Spyro game, I'd like it to be like the Classic games, while still using features introduce in this game. Once again, these are just my opinions. Feel free to disagree. Also, I am posting this here instead of General as this game is more of the focus. Feel free to discuss what you think. Yes, I agree; the last decent Spyro game. LOS either bored, or frustrated me, and I don't really have an opinion for Skylanders, I'm really not bothered about those games, NOT exactly bothered about LOS either. I wouldnt say so, that's because there is not one Spyro game I dislike. I do like all the games, but I just feel like this was the last one that actually felt like a Spyro game. since the legendary and skylanders games are totally different spyro games, i think you cant compare them with the older first gen spyro games. with that said 'A Hero's Tail' is definitive the best of the first gen spyro games. it got the best from the earlier games, and everything is done right, and the best graphic too.... so if im gonna advice someone that havent tried a spyro game before, i would say 'start with A Hero's Tail'... the 3 ps1 spyro game is good for what it was back in the day and still stand strong but the old graphics will put new people off the game. 'enter the dragonfly' i cant advice to anyone because i think its not a very well put together game. I have a 56" 3DTV and the PSX Spyro games look fantastic on it. The 3D mode is awesome, especially in supercharge, too. Anyway, I think the Legend games were good, but if you're saying out of the original era(aka up to Shadow Legacy), then yeah. Shadow Legacy was bad, an average-designed game with many glitches. It was, feeling unfinished, I think. I don't remember but I think Fusion also came after AHT, and that is hands down my least favourite Spyro game(besides the mobile ones... I played ANB and TEN on mobile, both poor). But if you count the Legend trilogy, I think TEN on the GBA was the last great Spyro game, that I always want to replay- ANB on the console was also awesome, while everything else from the trilogy was between just just good, but unspectacular, and so average it's awful. Love TEN mechanics and story but hate level design and Spyro's knockback, enjoy DoTD gameplay and art style and extras but hate story and difficulty balance. Skylanders doesn't even count as Spyro, IMO. Also, I don't mind ETD, decent level design, good graphics, should have been longer and more ironed out though(my copy doesn't glitch too often, but it lags sometimes and the loading gets boring fast). If they had more time to be able to get the original concept down(25 levels with more dragonflies, Ripto AND Gnasty Gnorc), it would have been awesome. Maybe, but I found Shadow Legacy was the "last" one of the good games I think. I wasn't really there for most of the old Spyro games. The furtherest back I've gone is Spyro: Enter the Dragonfly. But I can say I highly enjoyed and still do enjoy the classics. I hope to find a good Ps1 & Ps2 emulator for my Mac to go back even further. Shadow Legacy wasn't that bad in my opinion. I quite enjoyed it. Skylanders was okay. I think it's definitely more aimed at the much newer and younger children though. I had already reached the last level of the game with just 4 Skylanders and then I just stopped playing and collecting the figures because it didn't seem like there was much of a point left in doing so. I also agree that Spyro has completely lost his main role. Even though the first Skylanders was referred to as "Spyro's Adventure" it was hardly focused on Spyro at all. Maybe Activision just used Spyro to gain the attention of veteran Spyro fans so they could lure people into buying the game to reap in more money. And since I was much younger when I began to play TLoS I never really questioned or pointed anything out. But after going back to play TLoS: DoTD it made me raise a brow and wonder how I enjoyed this so much when I was 10. Don't take it the wrong way; I still enjoy it to some extent (especially the free-flying). But the graphics annoy me a little now. The scenery was beautiful and immersive. But the grass, the rocks... is it just me, or they quite bright? The grass looks like a fluorescent green. It's like the graphics downgraded yet upgraded in a way after the first two TLoS games. yeah i am starting to see activision as a money grubing enemy, after all i liked the skylanders at first but noe their series is just getting out of hand. hmm you have to wonder, where do all the major skylander fans put all those toys, it just way to many figures if you know what i mean. For personal preference, you don't have to collect every single Skylander you know. And I don't know maybe if you was that dedicated enough to Skylanders, you'd make some room for them. And you've only started to see Activision like this? Wow. It's certainly the last one that feels like the Spyro games that I played in my childhood (Shadow Legacy may be set in the same 'verse, but it doesn't feel much like them). That's not necessarily a negative strike against the ones following that don't, though.